Thanksgiving is approaching, and here in the US, most people are already well into the process of making travel arrangements and concocting plans to eat copious amounts of food with friends and family. 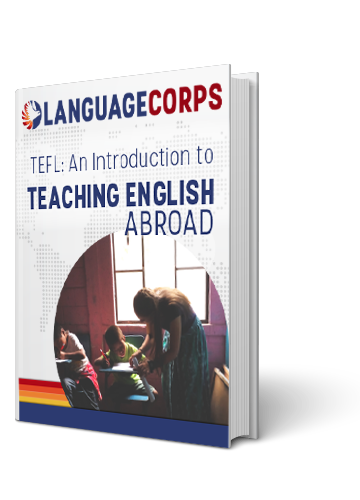 However, the holiday season has also the potential to be difficult for people that are celebrating far from home, including LanguageCorps participants currently teaching English abroad. But just because you’re away from home this year doesn’t mean that you can’t still celebrate the Thanksgiving season. Of course in the US, we have our own idea of what Thanksgiving means, but most cultures throughout the world have their own fall/harvest celebrations, and many of them have been around much longer than the American Thanksgiving tradition. When Abraham Lincoln established Thanksgiving as a national holiday, commemorating early American settlers and the Native Americans that came before them, he was really just cementing the tradition of giving thanks for a bountiful harvest that had existed in many cultures for centuries. So, we thought that this would be a good time to take a look at some different “Thanksgiving” traditions and celebrations around the world. If you’re spending this year abroad, perhaps you can find a way to incorporate some of these ideas into your own local celebration. Instead of feeling homesick, create your own tradition and bring the party to your new home. Because wherever you are, I guarantee you, there is plenty to be Thankful for! Similar to the US holiday, the annual “Moon Festival” in China is a time to gather with families and loved ones, and give thanks for a successful harvest and plentiful nourishment. The festival typically falls on the 15th day of September or October, when the moon is said to be at it’s brightest. Thus, one of the customs marking the festival is mooncake, a flaky pastry with creamy filling. The Têt-Trung-Thu Festival in Vietnam also typically takes place on the 15th day of September or October, and is sometimes referred to as the “mid-autumn” festival or the “lantern festival.” The festival is marked by gathering with friends and families to give thanks for blessings, and is also a time when families pray for success in the upcoming year (pregnancies and marriages especially.) Lanterns and masks are also an important part of the festival, with towns and cities often displaying hundreds of paper lanterns of various colors, shapes and sizes while parades of costumed children and adults wind through the streets. In the UK, people give thanks for the year’s harvest on the full moon closest to the autumn equinox, usually occurring late Sep or early Oct. Like the US festival, it’s a time to feast with family and friends and enjoy a break from the day-to-day work grind. Marked by singing, hymns, and decorating local churches with fruit baskets or food, this celebration has been taking place in some form since Pagan times. Inspired by an ambassador’s trip to the states in 1949, the Brazilian tradition was officially renamed “Dia de Ao de Graas”, or day of thanks giving. Brazilian Thanksgiving also takes place on the fourth Thursday of November, and is marked by a turkey feast and a Mass at Church. Carnivals and parades are also common! Taking place on the 15th day of the 8th month of the lunar calendar, Chuseok is a major harvest festival that earns Koreans a 3 day holiday. Families gather and celebrate with traditional Korean food like Japchae, bulgogi and songpyeon, and perform traditional rituals to remember loved ones that have passed. Visiting tombs and memorial sites of family members is also common, where surviving relatives will make offerings of food, drink and crops.